The most noteworthy VLF signal comes from the AC (alternating current) power grid. Practically every home in the most industrialized nations is connected to an AC power source. The grid in the United States is based on a 60 Hertz system. Other countries use the same frequency or sometimes 50 Hertz, as in the United Kingdom and parts of Europe. 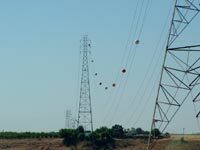 Main transmission lines of the AC grid use unshielded open wires suspended in the air tens of feet above the ground using tower structures. Extremely high voltages exist on these wires, up to 250,000 volts and possibly more. This is a recipe for proliferation of VLF noise in the general vicinity of these lines. 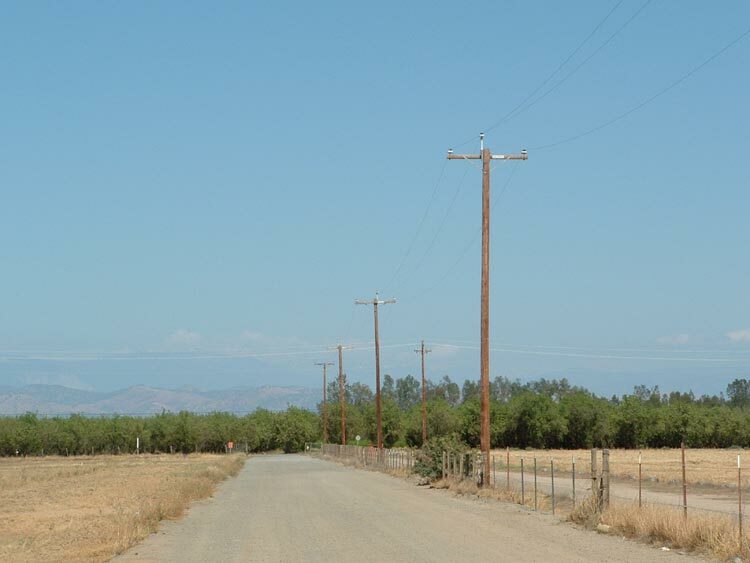 Wooden power poles, usually called "telephone poles" are seen in many places. They route power from the substations to houses and businesses. 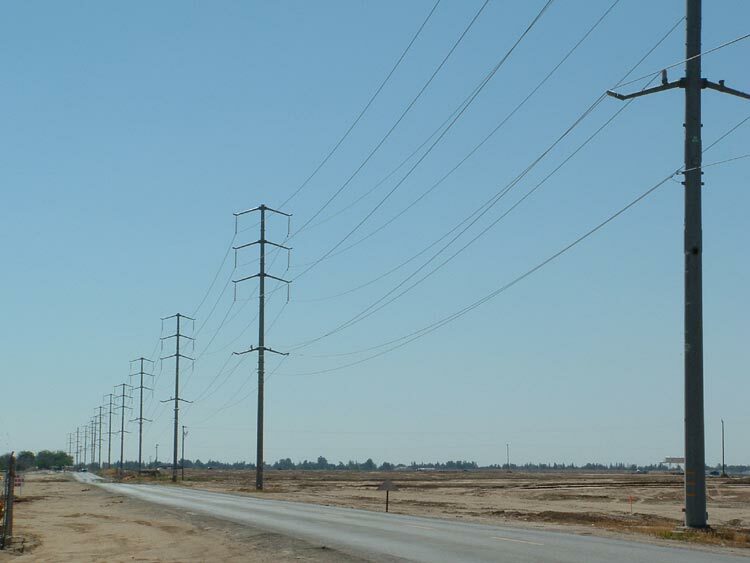 The AC grid is a major nuisance to VLF radio enthusiasts; they must be far from any type of power line. The image here is a spectrogram, it shows the many harmonic signals of the AC grid system The vertical scale is frequency, the horizontal scale is time. The harmonics extend beyond a hundred times above the base frequency (60 hertz).The sample was taken 75 feet away from 12,000 volt lines. Here is a close-up of power line emissions recorded from a VLF receiver located about two miles from a 48,000 volt service line. The harmonic signals are clearly visible at 180 and 300 Hertz. The dark vertical columns are lightning sferics. Alpha consists of several transmitting stations operating at frequencies from 11.9 to 14.8 Kilohertz. Alpha is used for navigation purposes, primarily for submarines as VLF radio waves can propagate through water with good efficiency. MSK or Minimum Shift Keying is a form of radioteletype (RTTY). Transmissions are generally heard on frequencies from 16 to 160 Kilohertz and are usually encrypted for security measures. 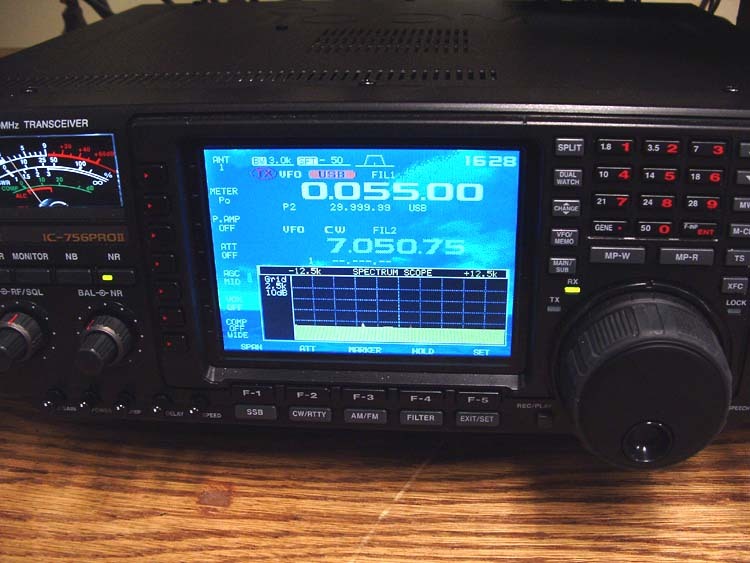 These stations are very powerful, several megawatts are used to propel the signals into the noisy radio environment. Military vessels are the primary users of MSK broadcasts. The United States had a system similar to Alpha, called Omega. Because of the new GPS navigation system, Omega was dismantled in September of 1997. The Alpha system signals are seen in addition to the Omega positioning system; Omega signals are the longer dashes. the vertical lines are lightning sferics (or strikes). VLF radio enthusiasts are not limited to listening, some are sending out signals using home built equipment. The samples here are from an experiment to find out if VLF can be used for amateur communications. 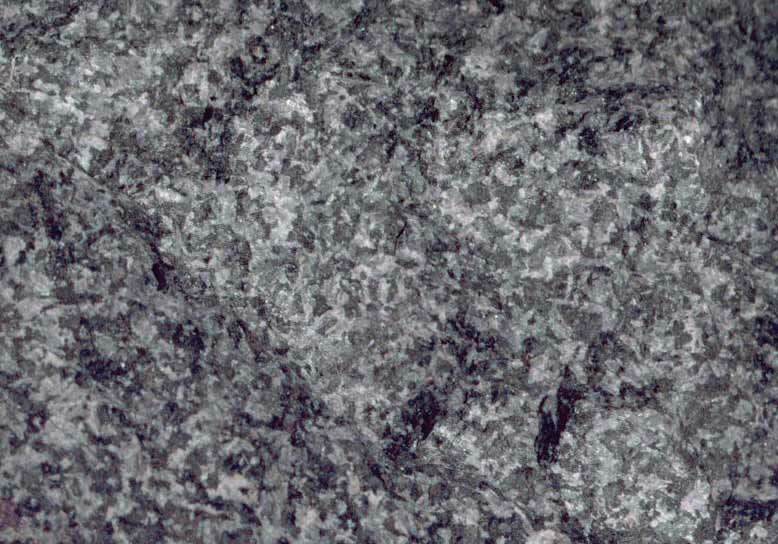 It was done in the Sierra Nevada Mountains in California. The transmitter sent out an intermittent CW (continuous wave) signal at one mile from the receiver, then again at two miles. The frequency used was 1.8 Kilohertz, well within the VLF range. Most vehicles are equipped with an alternator or generator that recharges the battery while the vehicle is running. The samples here are recordings of natural emissions interrupted by passing vehicles. 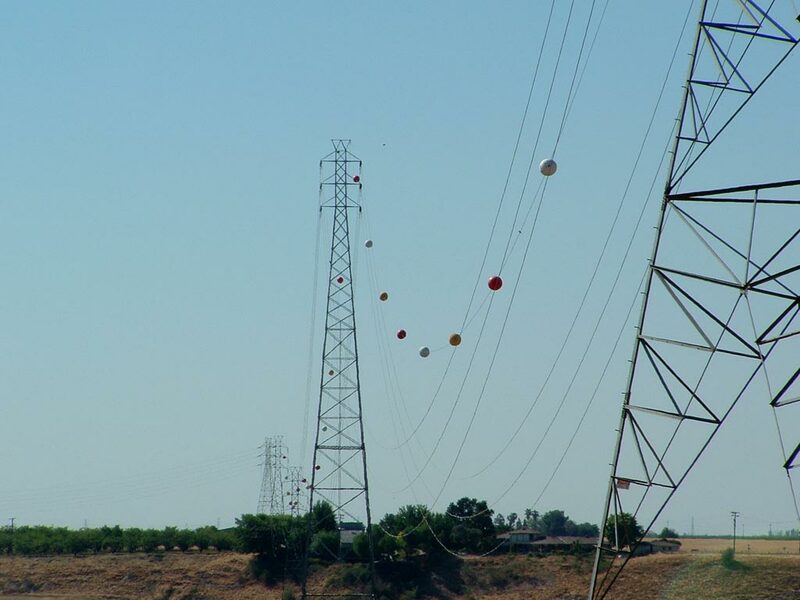 Due to the quiet conditions at the VLF receiver site, the passing cars and pick-ups were first detected from a distance of about a thousand feet.